Sridhar Vembu is CEO of Zoho.com, which develops a a new breed of web productivity - "office 2.0" tools. A recent InfoWorld analysis of such tools commented "No, they won’t offer everything that (MS) Office does on the Web. But they’ll offer enough to make many smaller businesses turn their heads -- especially at an eventual price point of about $10 per user, per month. 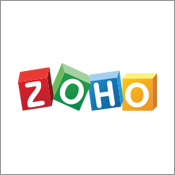 Give Zoho a rock-solid Web connection -- or install the local server version it’s coming out with soon -- and a “shipping” version, and you’ve got a viable competitor to Office. Maybe even on an enterprise scale." Here Sridhar explains the passion that drives his solutions. "The effect of technological revolution, reflecting the very meaning of "revolution", is to make products and services affordable to a broader set of people than before. Personal computers made computing ubiquitous in the developed world. Mobile revolution has swept the globe, with hundreds of millions in developing countries making their first phone call in the last decade. Falling prices beget rising volume - that is the key mantra. Yet, in the world of corporate IT, the low-cost revolution is very much unfinished business. 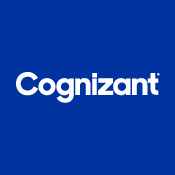 Software, in particular, remains overly complex and expensive, both in terms of the cost of acquisition and initial implementation, as well as the cost of long term ownership. Yet, most of what enterprises pay for software goes towards funding the marketing budgets of vendors. This seems like an universal law that is applicable regardless of whether the vendors have open source or proprietary models, and even extends to on-demand business models. Just a cursory look at the income statements of the leading vendors in each category should illustrate this. A fundamental rethink of the industry's economic models is necessary. While on-demand providers leverage the internet as the software delivery mechanism, they haven't fully exploited the internet as the key marketing and sales medium. The traditional IT sales process arises from a fear of margin erosion and loss of sales account control, if prices and discounts were too openly posted. From the perspective of most software vendors, more than their product, their marketing and sales process is their key "value-add" - from a customer perspective we may as well call it the "value-padd". The supreme irony is that the very vendors who preach the gospel of e-business practice relatively little of it. So how will this change? Part of it is simply generational change. As the Google and MySpace generation enters the world of IT, their expectations are necessarily different. On-demand software can fulfill those expectations, but only if the vendors would embrace it. Embracing it means disruptive change in their organizational structures. It means putting the engineers writing the code on the front-lines serving the customer, cutting out layers devoted to the value-padd process. Built-in social sharing features of on-demand means that customers in the same vertical segment could share, at their option, customizations made to fit their industry. Cycle times will come down massively, with implementations in hours or days, and customization in weeks. The other part of it is the globalization of IT. Off-shoring is just one facet of it - in fact, from my perspective that is not the interesting facet. As vendors are forced to serve new and newly global companies from emerging economies, they will find their "China Price" or "India Price" effectively become the world-price. With on-demand offerings, vendors cannot offer country specific discounts and still retain any measure of credibility. The revolution has just started."